Jaxson Riddle rides big bikes with a composure and style that far exceeds his age. 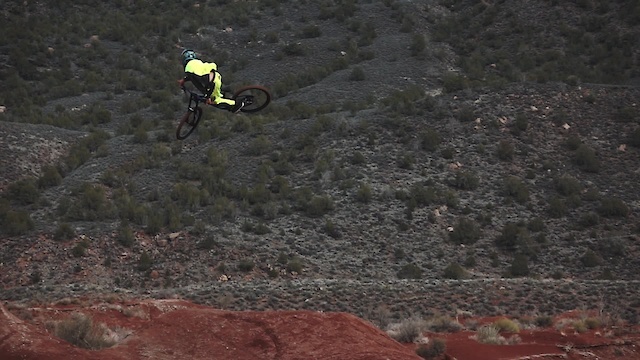 Hailing from St. George, Utah Jaxson got his first downhill bike when he was 15. He hasn’t put the big rig down since then and is progressing to a level that landed him a trip to Nico Vink’s Loosefest this year. We talk to Jaxson about how he got into freeride, his hiatus from social media, and the work he’s putting in to get to his biggest dream. Well you may know me as an “Instagram” rider. Unfortunately, my generation's idea of a successful bike rider is whoever has the biggest following or most views. This led me to ride for the numbers and forget the whole reason I enjoy mountain bikes. I’ve recently taken a hiatus from the whole social media world because it became an unhealthy obsession. Taking a break has allowed me to step back and put things into perspective. I'm putting my time and effort into bigger things I’m really proud of and stoked on. You’ll be seeing more project-based videos in the near future! I’m from St. George, Utah and still living there. Transition Bikes, Troy Lee Designs, Five Ten, Ryders Eyewear, The Spacebrace, Slag Society, Profile Racing, The Loamwolf, Tannus Tires and Kenda. Going high and finding lines that no one else sees. I could definitely improve my bike control and ability to do tricks. Most of the time I wake up then talk myself into a cold shower and pushups. Next, I hydrate, eat some breakfast and get coffee going. After that, I’ll head to work over at the local bike park and get in some shovel time. When work is done I’ll either go ride or catch up on school work. When I’m not at work you’ll catch me in Virgin digging or riding. How old were you when you first rode a DH bike? I got my first DH bike when I was 15 so almost 3 years ago. How did you get into freeride? I was first introduced to the freeride scene through a couple of homies: Reed Boggs, Dj Brandt, and Ethan Nell. When I was a little BMX grom I hit up Ethan and asked to ride his yard. Soon after I bought an old hardtail he had and got hooked on the high speeds and big air. I stuck with it and here we are. Do you have any big projects or trips planned for the rest of 2019? Yes! I’m planning on attending the legendary event Loosefest hosted by Nico Vink. I'm also heading to Whistler for Crankworx. About two months ago I built up my new bike and was still getting to know it, hadn’t ridden in a month or so. I sent a flat spin but overcooked it straight to my head knocking myself out and splitting my chin. Not a sick one. I’ve only ridden in Southern Utah and Whistler, that’d have to be it. Riding a TR11, PBJ, and a Patrol. Too many great dudes out there. Probably everyone from New World Disorder and Matt Macduff. I get a lot of inspiration from Semenuk. The guy is like the Elon Musk of mountain biking. The innovation and work that dude puts out is unreal. The McCaul brothers are two of the most likable down to earth dudes you’ll ever meet. On their worst day, they’re still more stoked than most people. Building jumps, it’s almost like meditation. You’re here for a good time not a long time. When you tell someone you ride bikes and they refer to it as skating. Where do you think the future freeride is headed? Well, as of now it looks to be headed toward Instagram videos of pit bikes, cowboy hats, and shotgunning natty lights. It is freeride though, so who really knows, anything can and will happen. As a humble, prepossessing, yes man individual. To me, it’s more than who you are on a bike. If I can positively exceed your expectations of who you think I am, I’m psyched.